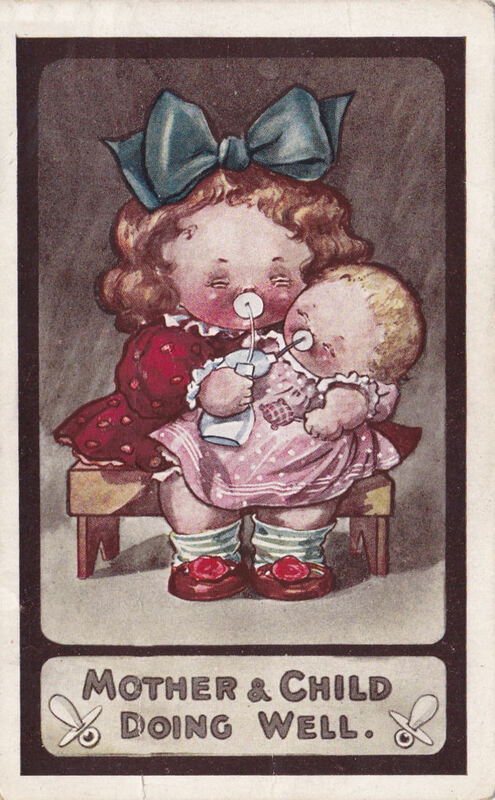 The International Art Company was formed by Robert and Louisa McCrum in 1909 and specialised in fine art postcards and continued until after the Second World War. 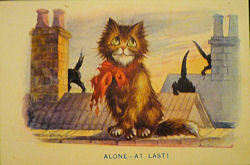 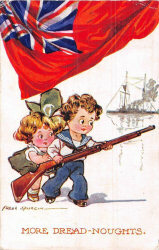 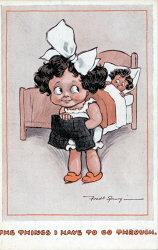 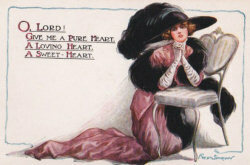 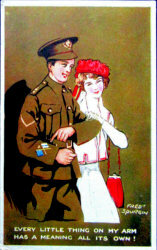 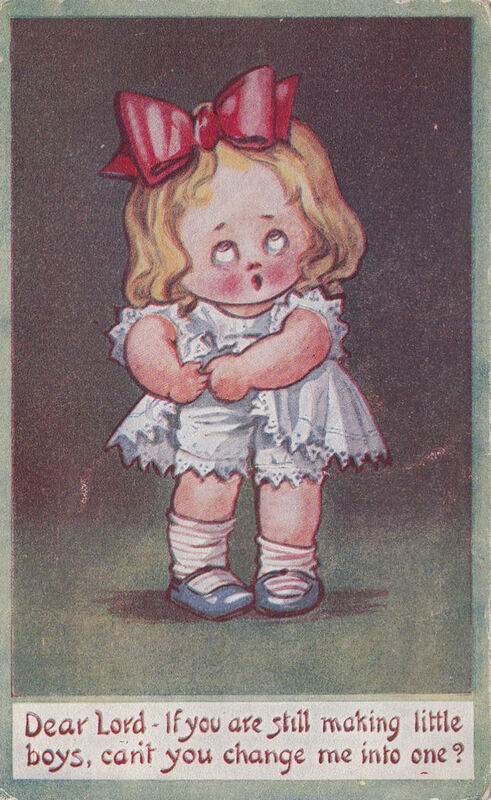 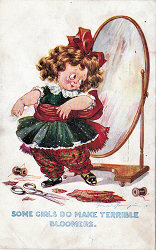 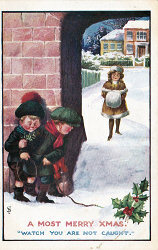 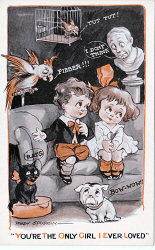 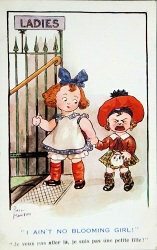 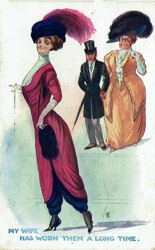 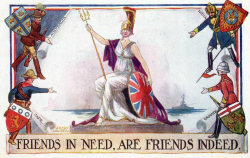 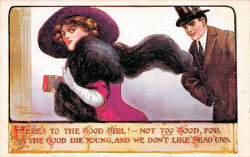 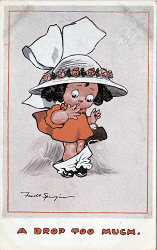 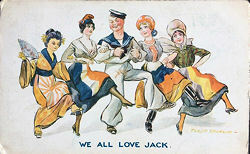 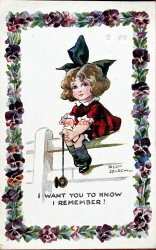 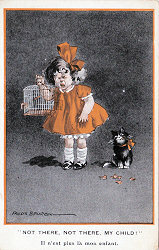 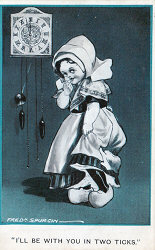 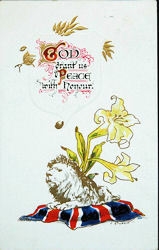 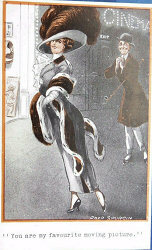 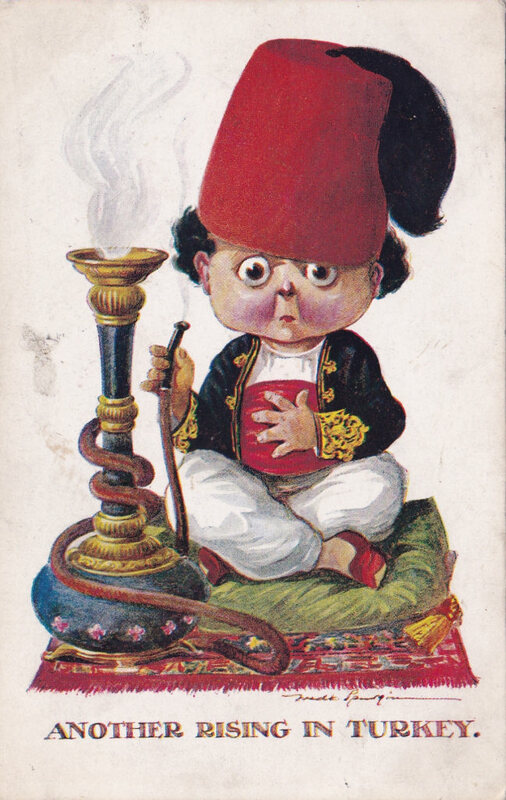 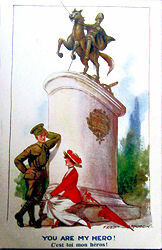 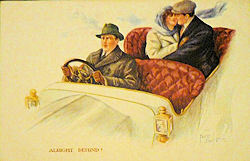 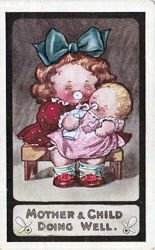 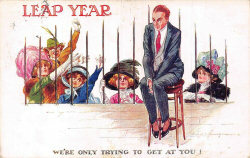 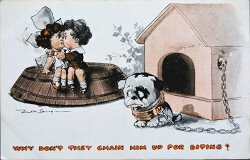 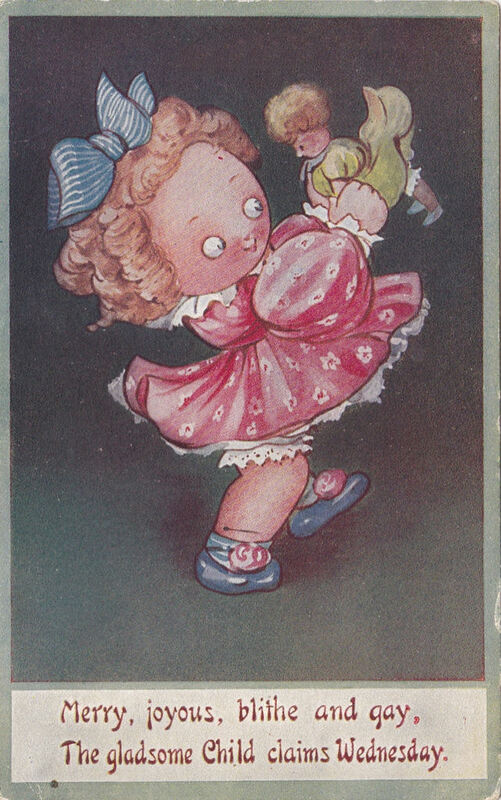 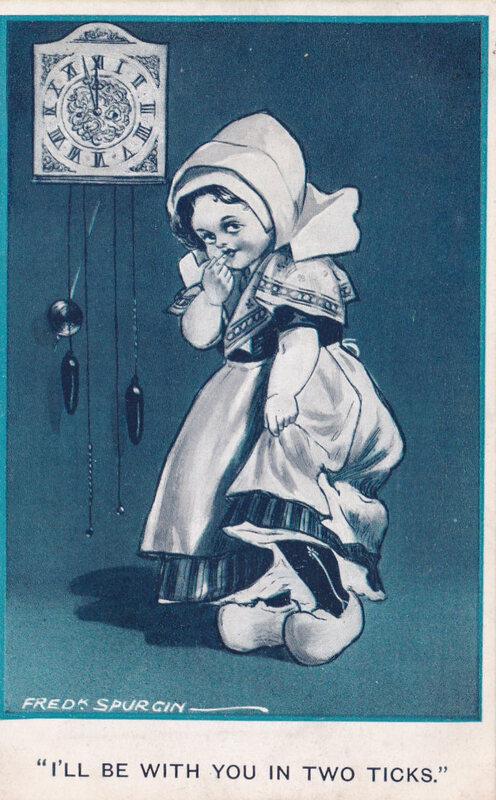 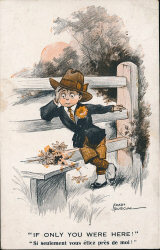 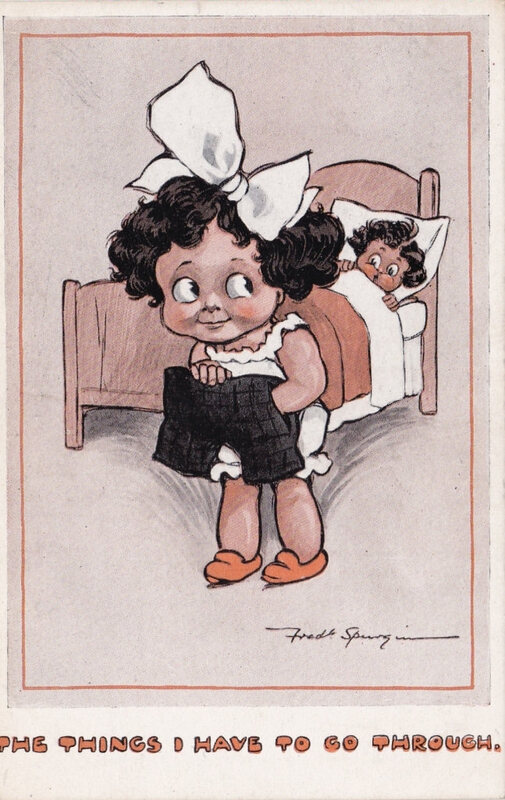 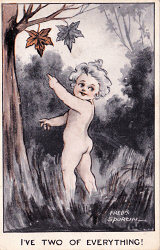 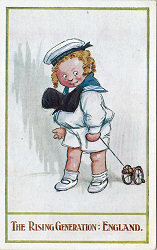 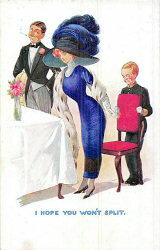 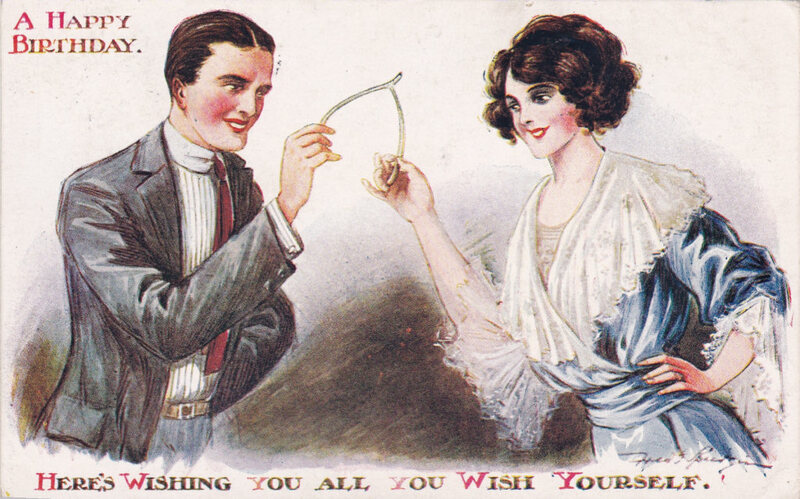 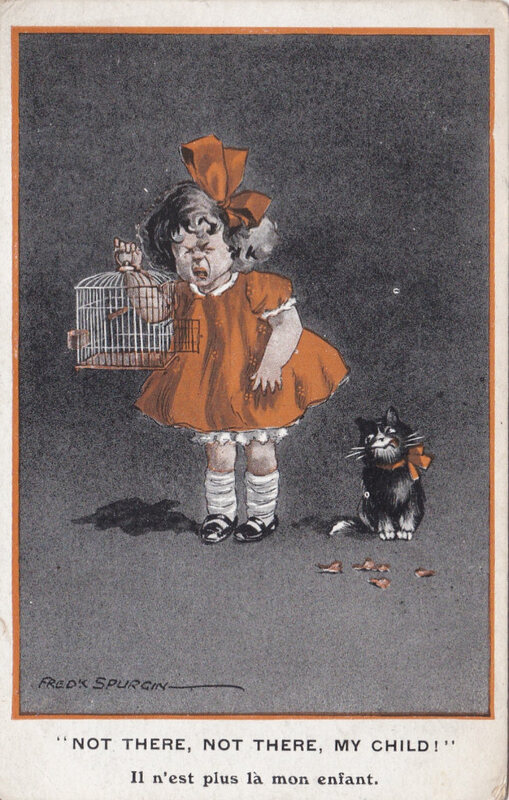 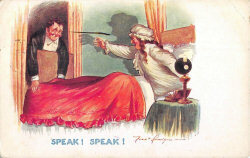 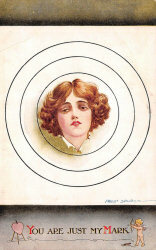 They are of interest here because the company published a very large number of Fred Spurgin's cards between 1910 and 1916. 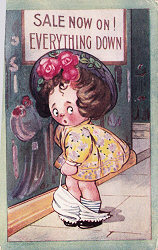 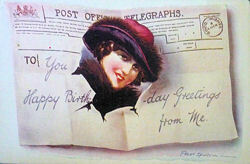 The flow stopped at about the time that Fred Spurgin started providing cards for Art & Humour. 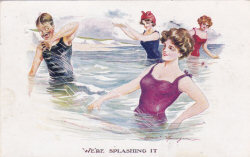 The list of sets was compiled by Ray Collier and was published (with titles of individual cards) in Picture Post Card Magazine April & May 1986. 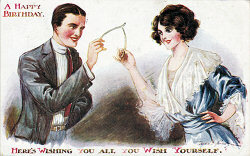 Sets typically consisted of six or 12 cards. 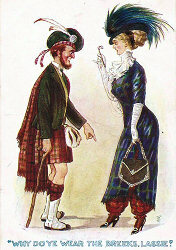 Why do you wear the breeks, Lassie? 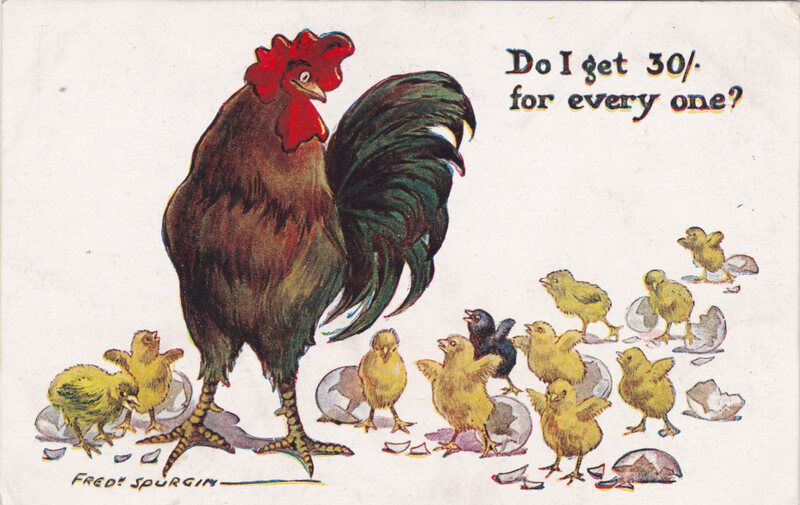 Do I get 30/- for every one? 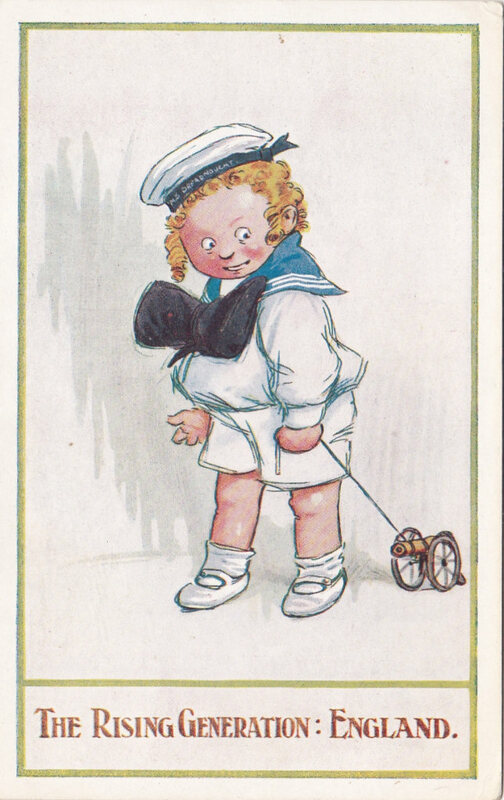 Dear Lord - If you are still making little boys. 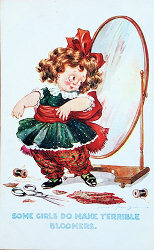 can't you change me into one?